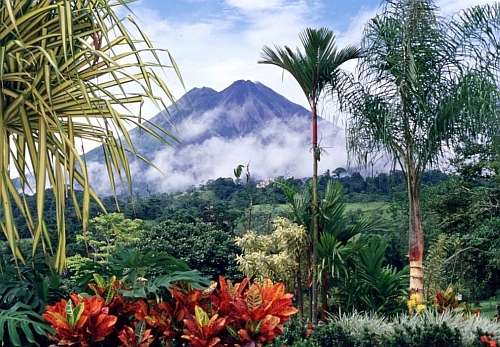 United Airlines has dropped the price of a few of their last minute flights from Halifax to San Jose, Costa Rica down to $365 CAD roundtrip including taxes. 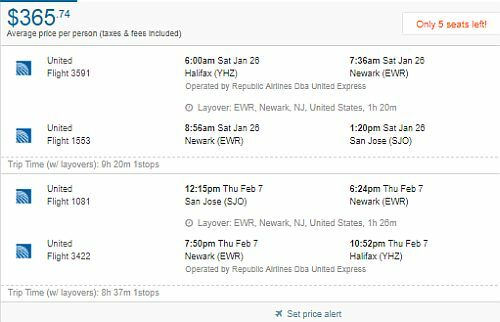 The flights have one stop each way, in Newark, for 90 minutes. 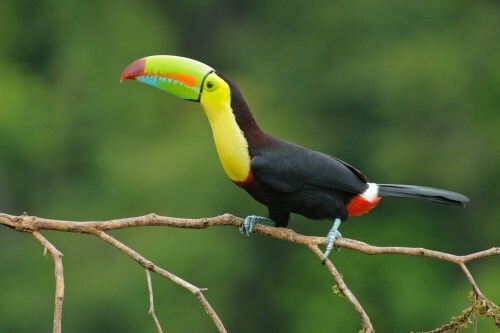 Fast flights from Halifax to Costa Rica for a really great price are very rare, especially in the dry season. They are generally at least twice this price. Jan 29 to Feb 5, 6, 7, 8 -- new!